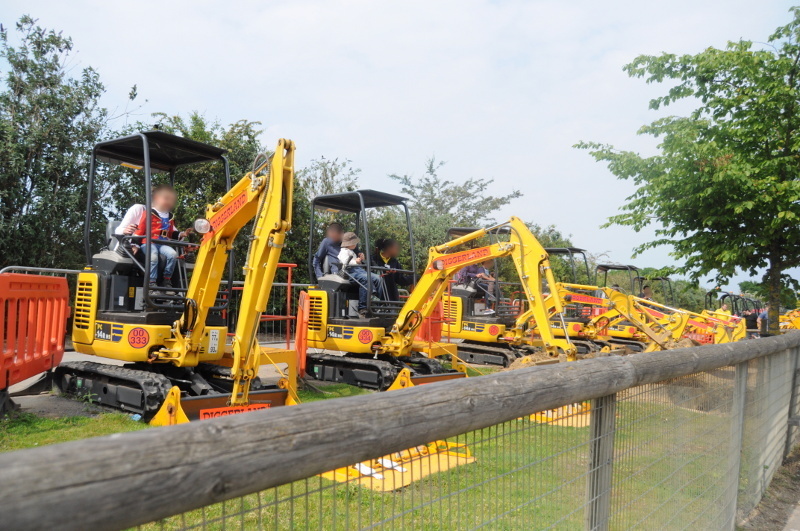 Last year we spent some of the Tesco Clubcard vouchers to buy tickets to Diggerland Kent. And my son (who was 3 years at the time) loved it so much that he periodically reminds us of that place and asks to go there. 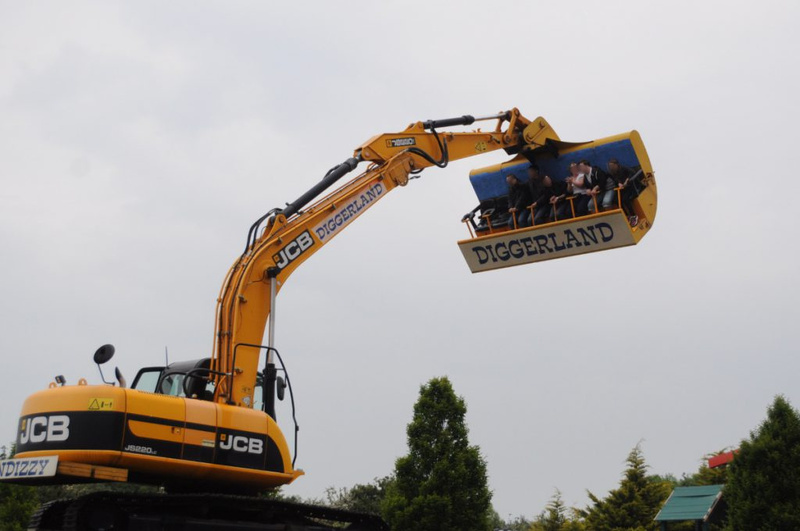 Luckily, Diggerland is not that far away: it is located ~32 miles NE from Trafalgar Square or ~28 miles E from Crystal Palace (London). We went there by car (a 45-50 minutes drive) but could’ve traveled by train and bus (80-90 minutes journey). 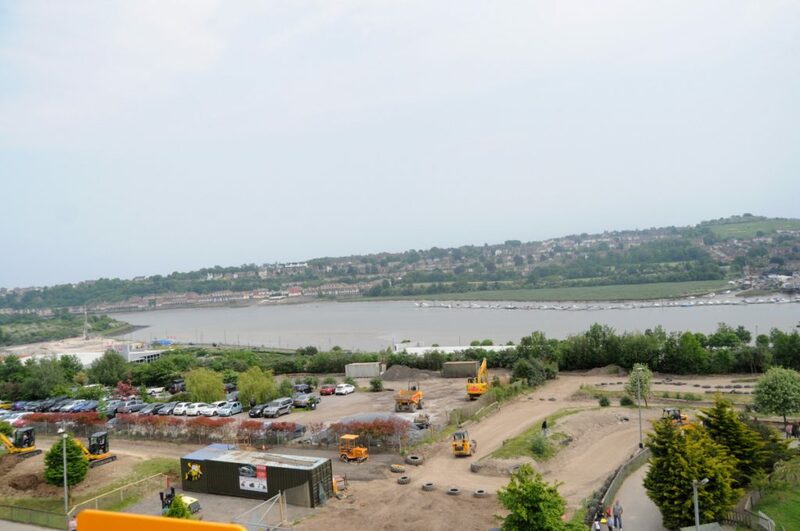 Diggerland is build on Medway river and has a pretty big car park. When we got there, it was around 1pm. We parked the car and went inside. 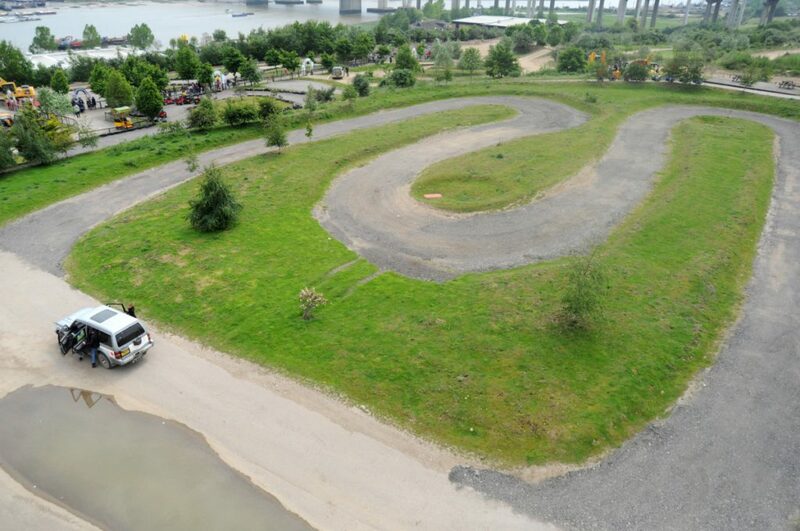 The first impression wasn’t a positive one: the music was too loud and next to the entrance there were small diggers and other vehicles that you have to pay 1£ for a ride. The whole thing seemed like the usual fun fair, loud and expensive. Luckily, the scenery changes really quickly, just as you go left and then past the toilets (keep their location in mind for future use). And oh boy, that’s the moment the real adventure and madness begin! 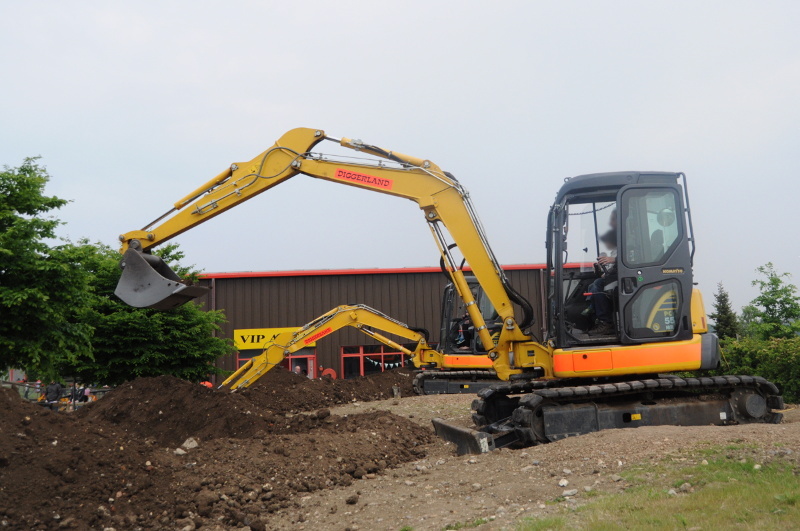 On the left there are real diggers, JCB 8065 tracked excavators that anyone (over a certain height, I think it was 90cm) can handle: they are very stable and kids and adults can easily use the controls to scoop up a bucket full of soil, swivel about and dump it. 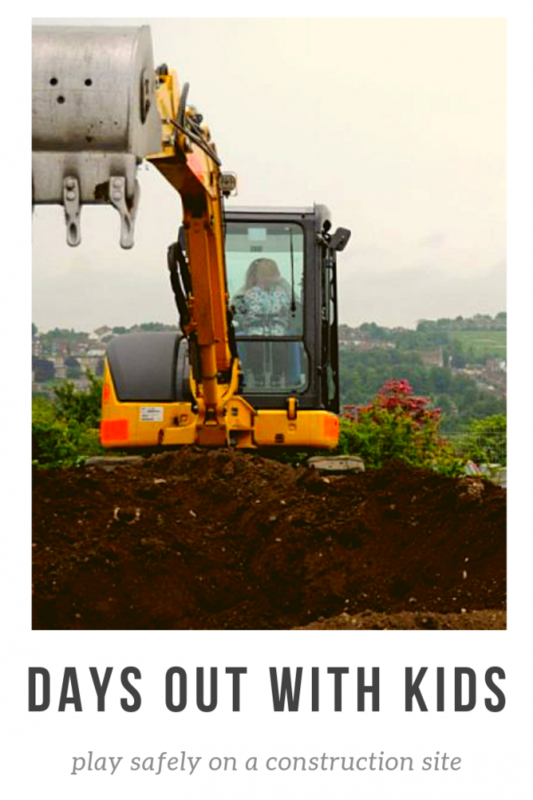 Careful though: some manoeuvres can tip the digger over. Luckily, when you get on board, a special trainer shows and tell you everything you need to know to have fun while being safe. 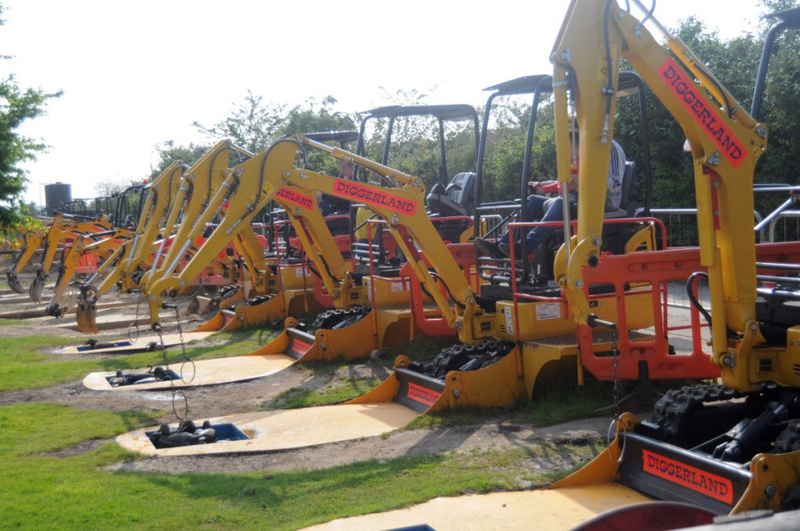 The number of diggers is limited therefore, if there are many people wanting to have a go, there might be queues and the time you can use the digger is limited. However, you can go back in the queue (they were pretty short when we visited) and have another go! 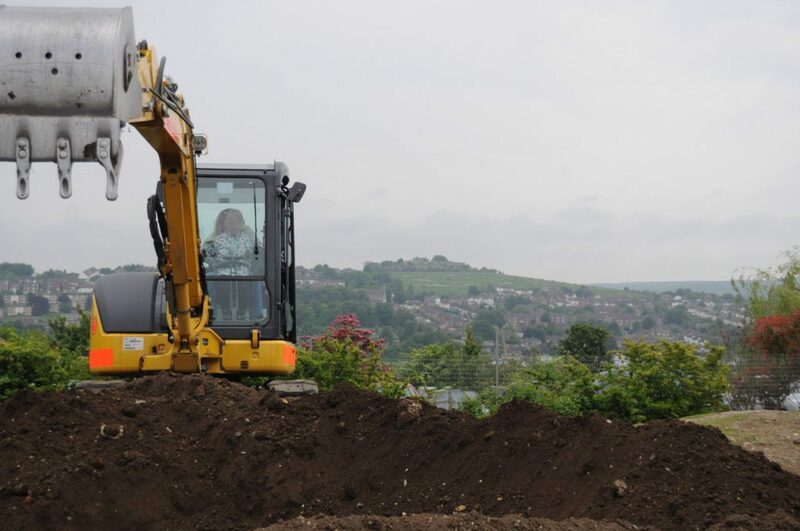 Close to the diggers are the dumper trucks, Thwaites 1 tonne dumpers that are the real deal, but have engines that have been governed to keep their maximum speed down to a walking pace. Oh boy are they fun! We couldn’t have enough! There is a track built for them and they are quite impressive and I can’t even remember how many rides we had. For these the driver has to have over 140cm height, and the passenger over 90cm. 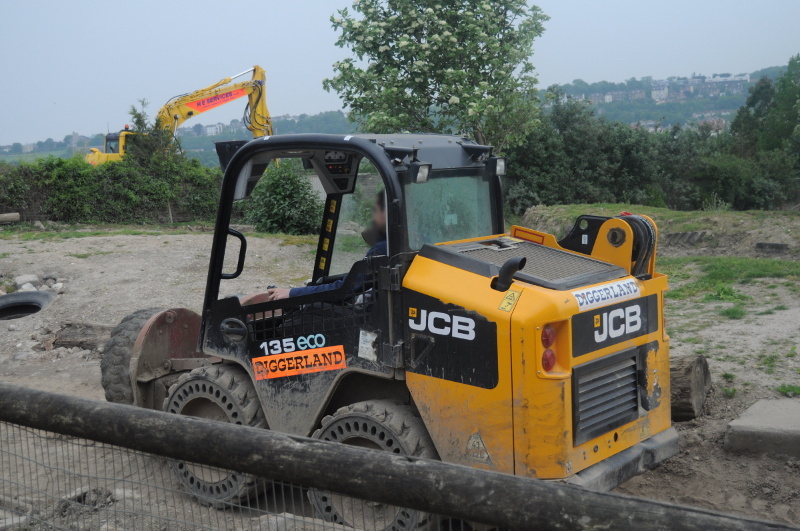 In the next photo it’s the dumper truck me and my son drove – he was controlling the steering wheel (and he was doing an amazing job! ), I was controlling the pedals. 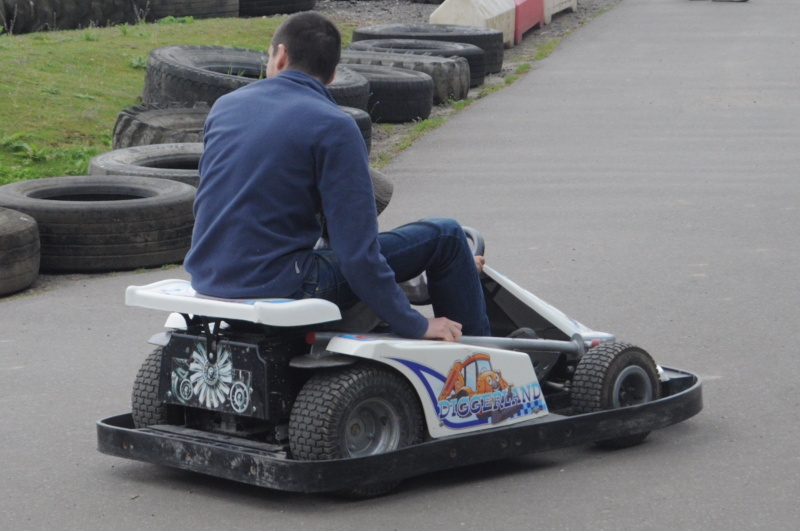 Next on the road there are the Go-Carts for which the driver has to be over 100cm and the passenger over 80cm. Again, my son was in charge of the steering wheel and this time his dad was controlling the pedals. 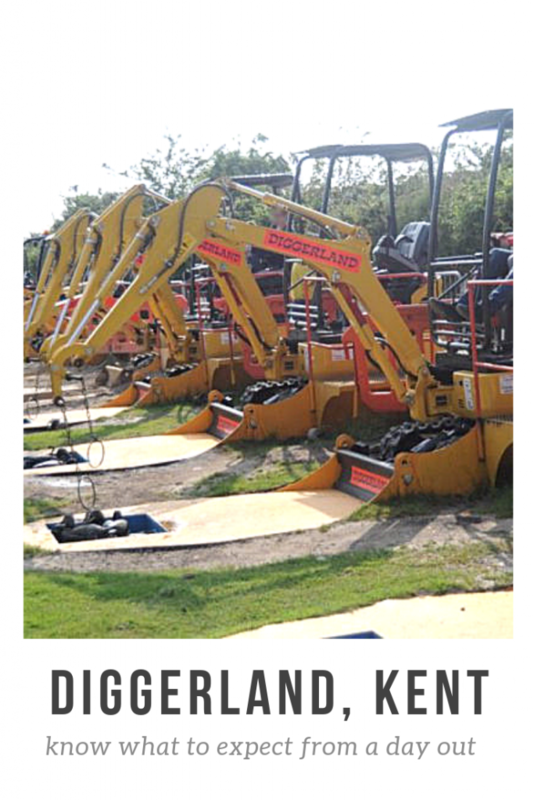 Close to the Go-Carts are the Robots, meaning the JCB Skid Steer Loaders which also have been especially adapted to drive around a purpose-designed course. 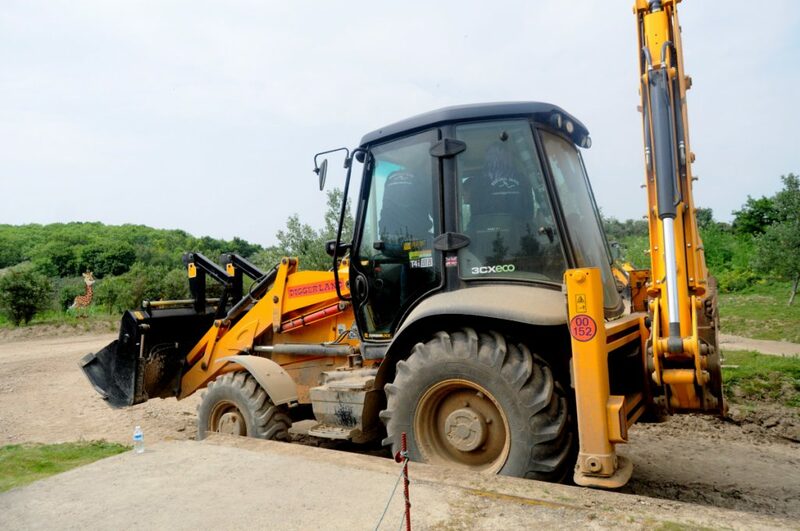 Reaching the end of the land, on the right there is a huge JCB 3CX, Backhoe Loader and it is quite impressive! 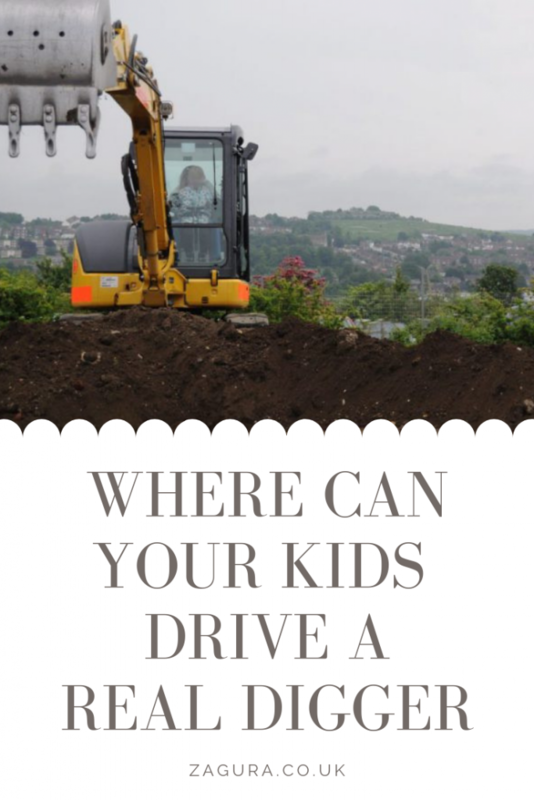 Who is over 110cm can actually drive it, accompanied by one of the specially trained Diggerland marshals. And there is no way you can get off the track: one of the marshals also has a break pedal at his/her disposal. 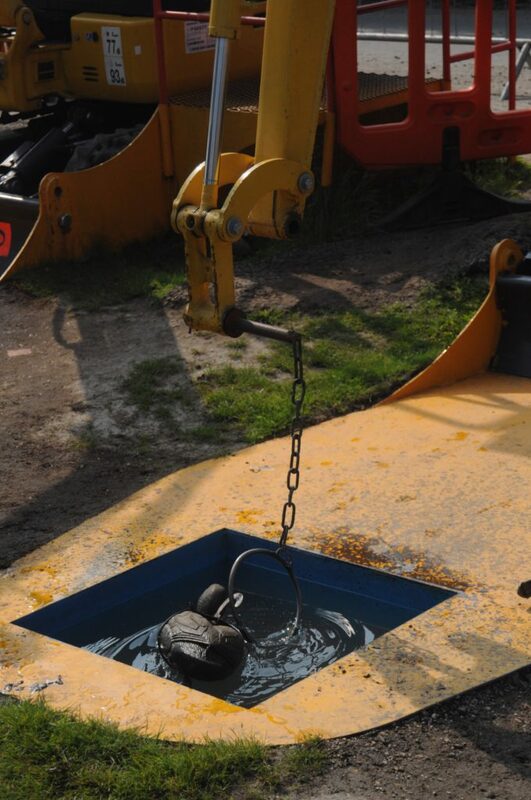 In the same area as the Backhoe Loader there is the Skyshuttle which lifts you, safely and securely, 50 feet up in the air. And the view cannot be missed! 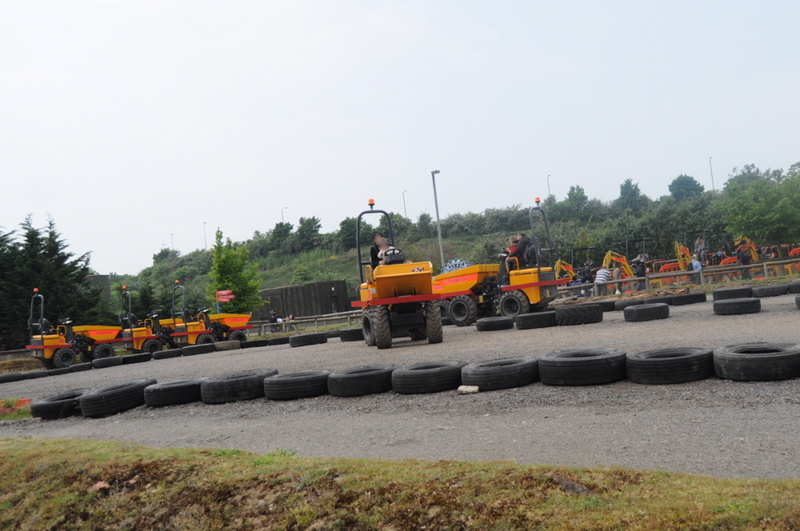 In the end, because the closing time had almost arrived, we went on a train ride, which has a Thwaites 1 tonne dumper as the engine, a main lead carriages and kiddie follow carts, specially custom-made for Diggerland. 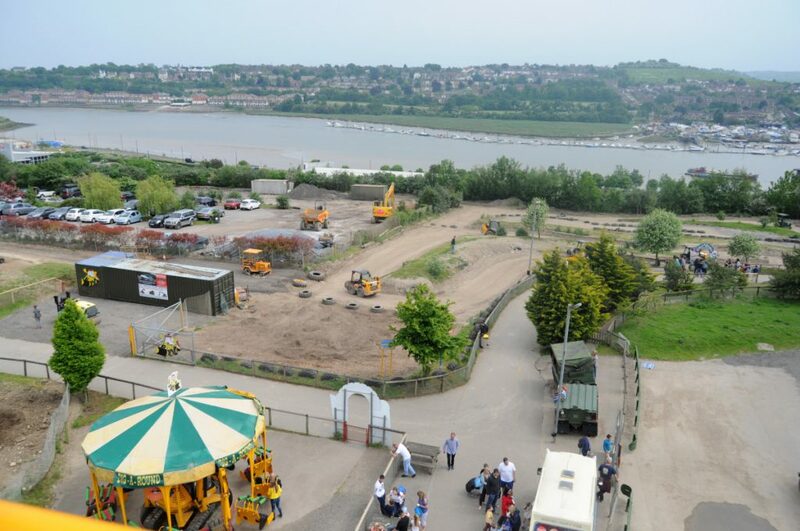 We left Diggerland at closing time, meaning at 17. 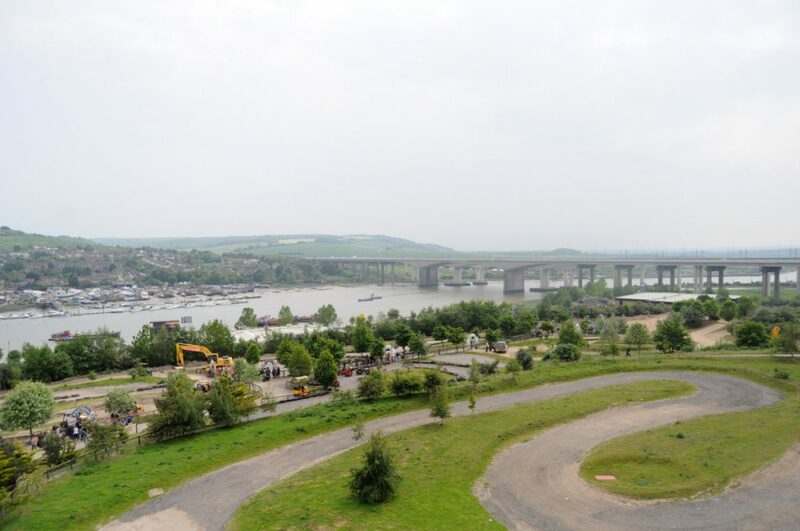 We weren’t ready for this, we were on our way to the seaside and we thought “Ok, we could go in, see some diggers, and then we’ll be on our way!”. We were so naive! 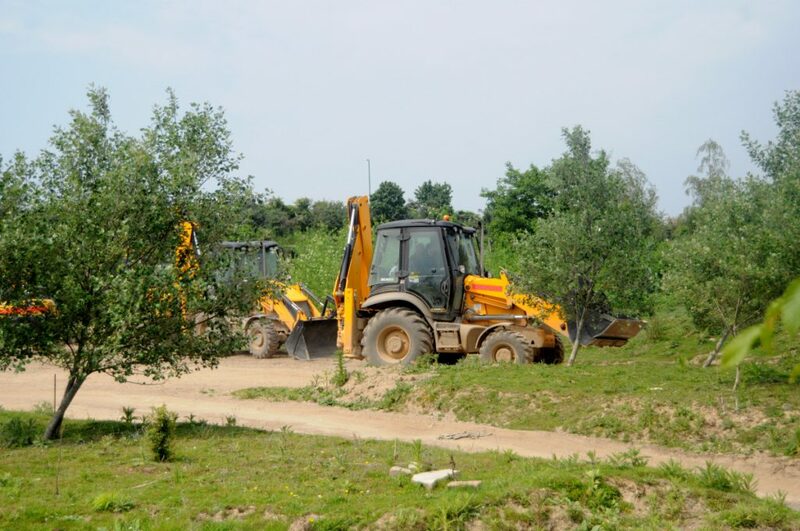 Honestly we didn’t know you could have so much fun, as a family, in a place full of diggers and trucks! How fun! I wish we had something like this in CA! If we ever get out to your area with our kids we will definitely make a stop there. My boys would love it! My daugher would lvoe this! We still have construction going on in our neighborhood and she loves going on walks and watching the trucks and machines at work. This is amazing! My son would absolutely die over this. I wonder if they have anything like this in the states? OMG! My son would love this place. If I ever get to visiting my family in England, I will have to take a trip here.